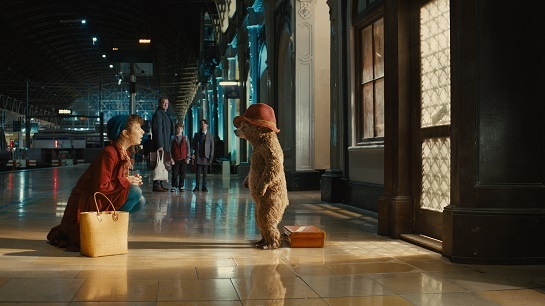 It’s a bizarre topsy-turvy world when the best film I see over the Christmas period isn’t the Middle Earth related one but the start of the franchise that I really wasn’t sure about – Paddington. Far from being a saccharine child focussed endeavour there’s a genuine warmth to the whole film, a real dollop of humour (just the right side of risqué at times to appeal to the older audience members), terrific acting from all involved and some of the best animatronic / CGI characterisation for a long time. 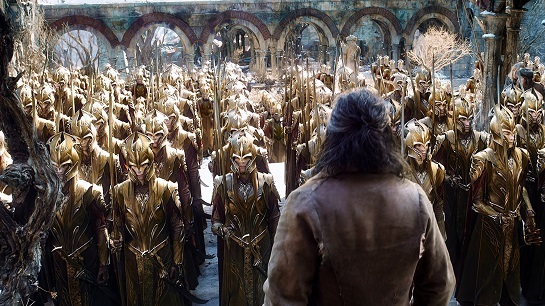 Another year, another return to Middle Earth. This one promises to be the last one (at least until the Tolkien family decide they need another cash injection), and I’ll try and comment on it outside of the context of the wider set of films (although I will touch on that at a later date). Once again, none HFR / 3D this time around – not getting burnt by that again, and also on the same screen as I’ve seen the previous two instalments so no dodgy screen / projection issues clouding the issue. You cannot fault the scale of the ambition. Fincher’s latest film continues to build upon the themes that have dominated his last films; surveillance and its affect upon our lives, the façade that we present in public as opposed to private and the nature of celebrity. Fixed to a stronger narrative than The Girl with the Dragon Tattoo (Fincher is more comfortable exploring America’s obsessions than Europe’s), it still feels subversive in its presentation, but is far more troubling than his previous films because the lines are far greyer. For once Fincher doesn’t provide the answer at resolution but instead leaves the audience to makes its mind up. There are no flashy dramatic sequences, no mind-bending editing, instead the story is told slowly and methodically leaving the hysterics to the watching audience as it tries to piece together what it has seen, with each film Fincher grows more and more confident in his ability to make a good film without needing to provide spectacle. Is there a longer, more nuanced cut of Marvels latest juggernaut? One that doesn’t sacrifice plot and characterisation for empty spectacle and a desire to set up a larger franchise? Guardians of the Galaxy isn’t Transformers / Sucker Punch bad, but it is a major disappointment given the likeable popcorn nature of Marvels previous film, uneven in tone and lacking in the charm that moved along the others. Whilst I’ve generally been able to forgive the minor problems with previous Marvel films, here they are too apparent in a move to create a marketing experience rather than a cohesive film. A quick chat around the office reveal there are two distinct camps, those that love Wes Anderson precisely because his films are so quirky and unusual, and those that hate him for the same reason. There would appear to be no middle ground what so ever, you either signed up from the first film you saw or decided it just wasn’t for you (although Fantastic Mr. Fox appears to buck this trend a little). 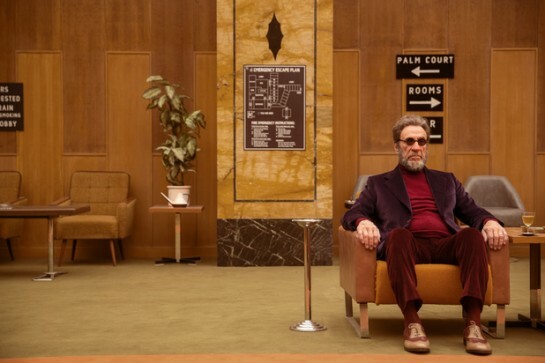 The good news for the former is that his latest film is the most Wes Anderson-ly Wes Anderson film to date, deeply quirky, wonderfully designed to within an inch of its life and just a step above being slight as to be delightful without being a pointless exercise. If you’ve not been converted in the past this isn’t going to be the film that does it for you, if you have then you know exactly what you’re sitting down to see even before the credit role. More deeply plotted, far broader in it scope and longer than its predecessor, The Raid 2 eventually offers the same demented thrills as the first film but feels like a far stronger film. Whilst the pared down nature of the first film meant it could be summed up as “Man fights his way out of criminal infested tower block”, this is harder to pigeon hole – it’s closer in tone to the early John Woo films, far more concerned with the nature of loyalty between men on the opposite sides of the criminal divide than pure visceral motives. If the film has one weakness it’s that it possibly asks a little too much of its star in terms of acting – moody and pensive he can do, anything deeper is sometimes problematic – but this is the films only flaw.